PERSHING- Joyce Elaine Lammott, 74, passed away at her home in Pershing Tuesday afternoon January 22, 2019. A daughter of the late Leslie E. and Violet Anna (McKee) Baker, Joyce was born in Wayne County, Indiana at home on Abington Township Line Road on September 26, 1944. She was raised on Foote Street in Cambridge City and graduated from Lincoln High School with the class of 1962. 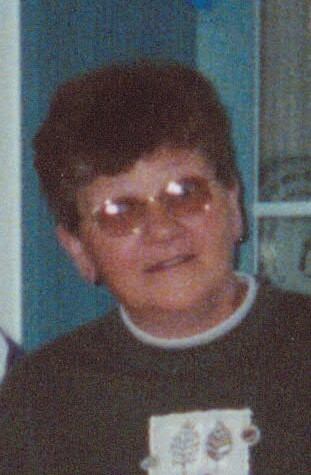 A homemaker, Joyce was a devoted wife, mother and grandmother and enjoyed spending time with her family. She has lived in Pershing for the past 53 years. Survivors include her husband of 54 years, Ron Lammott. They were married in Cambridge City on October 23, 1964. 2 daughters, Lottie Jordan of Fountain City and Rebecca (Kirk) Trebley of Glenwood; son in-law, Gary Jordan; 4 grandchildren, Ben and Hope Jordan, Aaron and Austin Trebley; 2 siblings, Maurice Baker of Lincoln, NE and Ann Hart of Centerville; nieces and nephews. Joyce was preceded in death by her son, Gary Wayne Lammott on April 18, 2007; 4 siblings, Esther Weisenborn, Earl, Paul and Dale Baker. Funeral services will be at 11 a.m. Tuesday January 29, 2019 at Marshall & Erlewein Funeral Home, Dublin. Rev. Pat Smith of Little Flatrock Christian Church will officiate. Burial will follow at Zion’s Lutheran Cemetery. Visitation will be at the funeral home from 4-7 p.m. on Monday January 28th.